(i) x³ + x² + x + 1, (ii) x⁴ + x³ + x² + x + 1, (iii) x⁴ + 3x³ + 3x² + x + 1, (iv) x³ - x² - (2 + √2)x + √2. 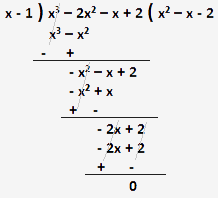 Let x + 1 is a factor of given polynomial. Therefore, It is confirmed that x + 1 is a factor of x³ + x² + x + 1. Therefore, x + 1 is not a factor of x⁴ + x³ + x² + x + 1. Therefore, x + 1 is not a factor of x⁴ + 3x³ + 3x² + x + 1. Therefore, x + 1 is not a factor of x³ - x² - (2 + √2)x + √2. (iii) p(x) = x³ – 4x² + x + 6, g(x) = x – 3 . By factor theorem (x + 1) is a factor of 2x³ + x² – 2x – 1. Therefore, g(x) = x + 1 is a factor of p(x) = 2x³ + x² – 2x – 1. By factor theorem (x + 2) is a factor of x³ + 3x² + 3x + 1. Therefore, g(x) = x + 2 is not a factor of p(x) = x³ + 3x² + 3x + 1. By factor theorem (x – 3) is a factor of x³ – 4x² + x + 6. Therefore, g(x) = x – 3 is a factor of p(x) = x³ – 4x² + x + 6. (i) p(x) = x² + x + k, (ii) p(x) = 2x² + kx + √2, (iii) p(x) = kx² – √2x + 1, (iv) p(x) = kx² – 3x + k.
(i) p(x) = x² + x + k , k = ? Given that x - 1 is a factor of p(x). (ii) p(x) = 2x² + kx + √2, k = ? (iii) p(x) = kx² – √2x + 1, k = ? (iv) p(x) = kx² – 3x + k, k = ? (iv) 3x² – x – 4. Firstly, the factor of 2 is ±1, ±2. Then, x = 1 and x - 1 is a factor of x³ – 2x² – x + 2. 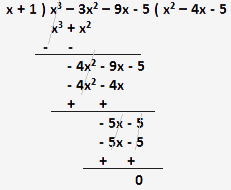 Firstly, the factor of 5 is ±1, ±5. Then, x = -1 and x + 1 is a factor of x³ – 3x² – 9x - 5. 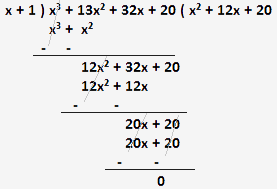 Firstly, the factor of 20 is ±1, ±2, ±4, ±5. Then, x = -1 and x + 1 is a factor of x³ + 13x² + 32x + 20. Firstly, the factor of 1 is ±1. 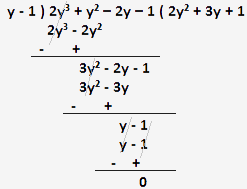 Then, y = 1 and y - 1 is a factor of 2y³ + y² – 2y – 1.